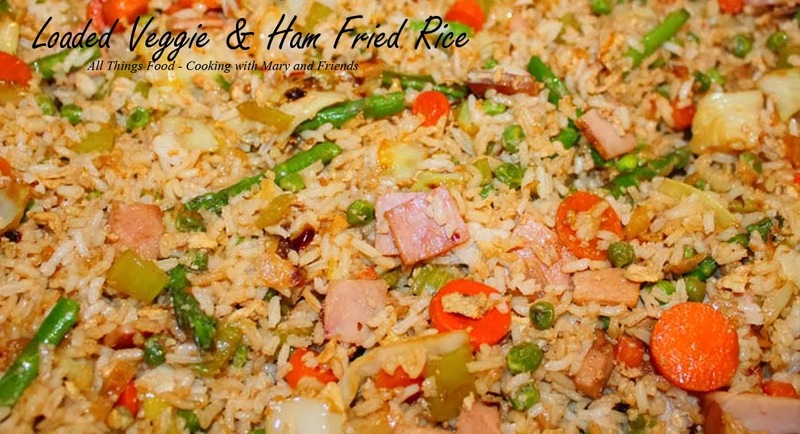 I love fried rice, any kind of fried rice, and the list of possibilities for fried rice is endless ... that said, here is another recipe for leftover ham, or any fully-cooked cubed ham (of course you could use ground pork, diced chicken or shrimp instead, or leave out the meat entirely). Delicious and so easy! 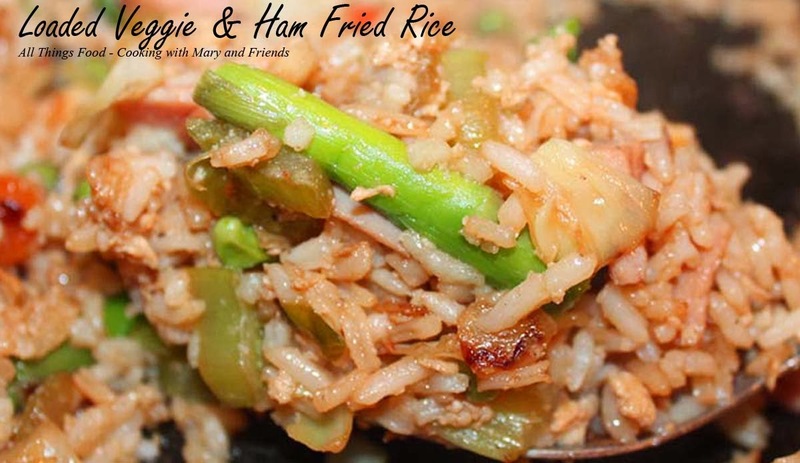 Melt butter in large frying pan, or electric skillet; add onion, celery, cabbage, peas and carrots; cover and cook over medium heat until al dente (or firm/tender); stir in ham and continue to cook until hot. Add eggs and stir until cooked through; stir in cooked rice and soy sauce. Continue cooking until heated through. Add fresh asparagus last, cover and cook until just done. Serve immediately.